My first session in the Nebraska Legislature was both productive and educational. As promised, I hit the ground running with a group of bills that were especially important to the residents I serve in District 3. I’ve listened to your concerns and questions. I took that information, pushed up my sleeves and got to work. Four of my bills are now law and many others will hopefully be debated on the floor next session. I am thrilled to be your Senator and will continue to work hard on your behalf. LB 80 will make it easier for county attorneys’ and public defenders’ offices to recruit and retain law students and law clerks in order to eventually promote these employees to full-time lawyers within the office. This is a relatively simple law that has removed red tape and takes away an unnecessary hurdle. 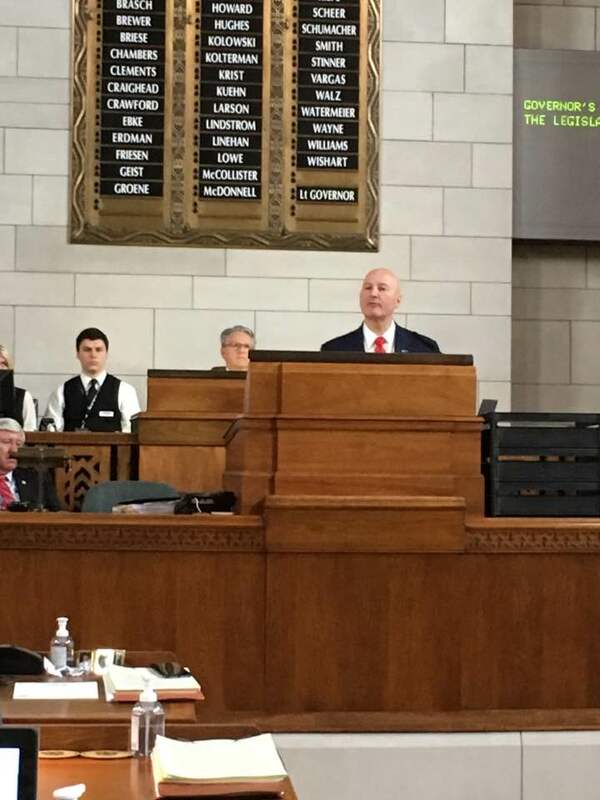 Governor Ricketts challenged Legislature in his State of the State address to work toward eliminating hurdles to employment by removing unnecessary red tape that prevents our residents from gaining employment here in Nebraska. I accepted that challenge and worked toward that goal. 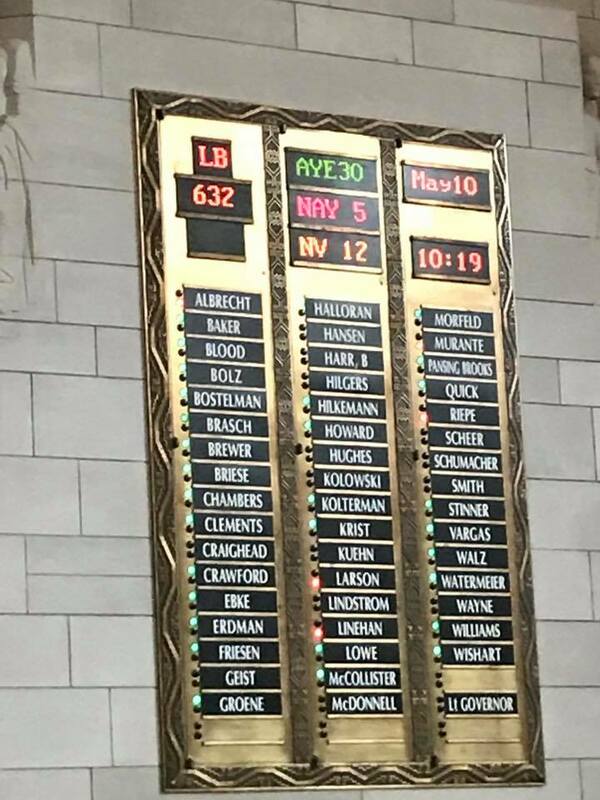 LB 88 was introduced as a bill that allowed military souses the ability to obtain temporary licensure in Nebraska in over 30 professions under the Uniform Credential Act. As a body, we were able to make this an even more powerful bill that included additional provisions. Additional language authorized Nebraska to join the Interstate Medical Licensure Compact; updated provisions for licensure and practice requirements within the current Nurse Practitioner Practice Act; allows licensed practical nurses to provide intravenous therapy and eliminates the Licensed Practical Nurse-Certified Practice Act; and amends portions of the state’s Nurse Practice Act to allow Nebraska to join the Enhanced Nurse Licensure Compact that will take effect when 26 states have joined or on December 31, 2018. Additionally, it removed a requirement that nurses educated in a foreign country pass a specific examination or hold a certificate from the Commission on Graduates of Foreign Nursing Schools. Now, an applicant is required to pass a board-approved examination and provide a satisfactory evaluation from a board-approved foreign credentials evaluation service. LB 88 also removes a requirement that a licensed audiologist obtain a second, specialist license in order to sell hearing aids. For so many of our military spouses the routine is to move, certify and repeat. This has created career obstacles for many of the military spouses relocating to Nebraska. This is an especially concerning topic for many of our District 3 families. When PCS orders arrive, spouses must uproot their careers and attempt to find jobs in their new state. If a spouse chooses to stay in their current position, it can mean being separated from their family. Offutt Air Force Base has a powerful economic impact on eastern Nebraska. We must work hard to honor our military and their families by creating policy that not only embraces their needs, but also helps our state when there is another round of BRAC-Base Realignment and Closures. Over 15,689 base jobs and another 7,796 local jobs depend on the Legislature to make smart policy that supports our goal to prevent Offutt from a potential base closure. LB 85: Provide a requirement for persons seeking appointive or elective office. 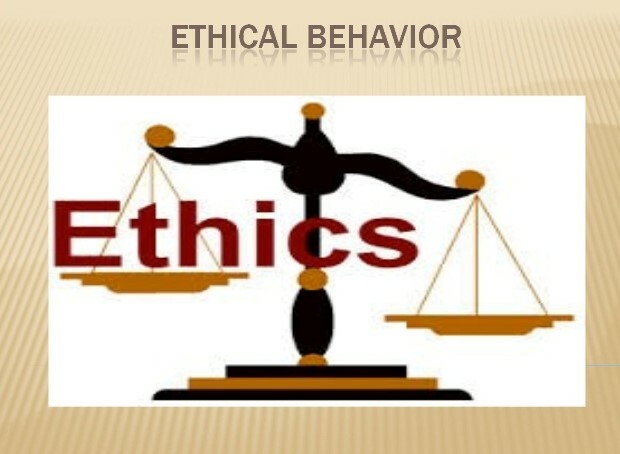 LB 85 is a bill that prohibits any person that has outstanding civil penalties issued by the Nebraska Accountability and Disclosure Commission from filing for election to public office. If a candidate disputes that they have outstanding civil penalties and has an appeal pending, they will still be allowed to file for office if they file a surety bond in favor of the state while the appeal is pending. LB 86 eliminates the requirement relating to bids for county bridge contracts. No change was requested in reference to changing any transparency for the public on this issue. This bill allows the bids to be opened outside of a board meeting and does not force the contractors or other interested parties to sit through other discussions. The issue is about expediency and not making contractors or the public sit through discussion of issues not pertaining to the bids. The county board will still deal with the bids but they simply will not need to be present at the opening of these bids. The awards are always going to be made at an open public county board meeting and the bids will be readily accessible and viewable by the public. This is a simple bill that helps to uncomplicated the process and not waste time that can be spent on more important agenda issues that serve the public. What Is Our Office Working On For 2018? We have worked all summer on a vast array of topics and crafted multiple bills that we hope to bring forward in January. One of our more important efforts is our military families initiative. Working closely with the Department of Defense, our office continues to strive to remove hurdles for our military families when it comes to employment and to offer needed policy that allows better access to services here in Nebraska. This initiative includes a proposed Medicaid Waiver for military families that have complex medical conditions not covered by TRICARE. It will help to protect the families from having to wait longer than may be necessary and provide service to their children with disabilities. The military initiative also includes state enhancement to the service member’s civil relief act (SRA). Although service members are protected as consumers through the federal SCRA; the federal law does not protect service members concerning obligations that occur while on active duty. This bill will provide additional consumer protections that can mirror and expand the federal SCRA. Also included are three interstate compact bills that include Physical Therapists, Psychologists and APRNs. Interstate compacts make it easier to get licensed in multiple states and empower those interested to reach more patients in rural and underserved communities. It also removes additional hurdles for potential employment for military spouses. Yet another aspect of our Military Families initiative is our Realtor’s Licensing Bill. 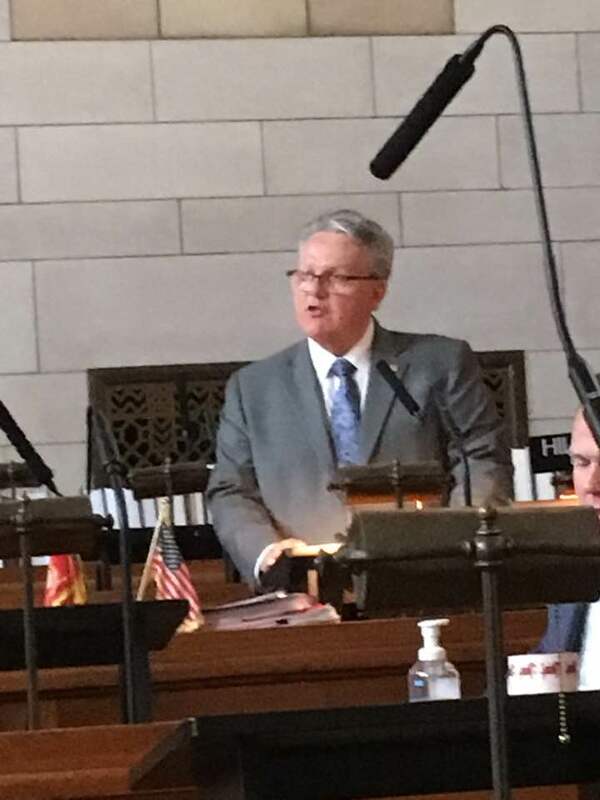 This bill allows for an exemption for military spouses from licensing fees if transferred to Nebraska and already holding a license from another state. We are also working with the Nebraska State Court Administrator’s office to potentially waive the fee for military spouses who are practicing attorneys that transfer to Nebraska with their spouse. We hope to craft several additional bills this session as part of our initiative, but feel we are off to a great start. We have three bills that pertain to Bitcoin. Bitcoin is a new concept to many people, but one that has become a popular peer-to-peer exchange platform. Our office enthusiastically supports many of the wonderful aspects of blockchain technology as it has created the backbone of a new type of Internet. Originally created for the digital currency, Bitcoin, there is a long list of potential uses for this tech. However, with new technology, there are often stumbling blocks that need to be addressed to protect the public. It is important to have state statute updated to keep up with any changes that may affect Nebraska residents. While we are still in recess, it comes as no surprise that I’ve been almost as busy as when the legislature is in session. I’ve never been someone who wants to wait until the last minute, so in between conferences where I’ve learned a great deal about what other states are doing, I’ve been working on legislation that I plan to bring forward in the next session. July was an especially busy month and August looks like the action isn’t going to be slowing down. I started the month of July by attending the National Foundation for Women Legislators conference. As the name lays out, this is a conference that specifically highlights our women legislators from all over the country. This was a fantastic way to meet with peers who are working hard to serve the public and their constituents. 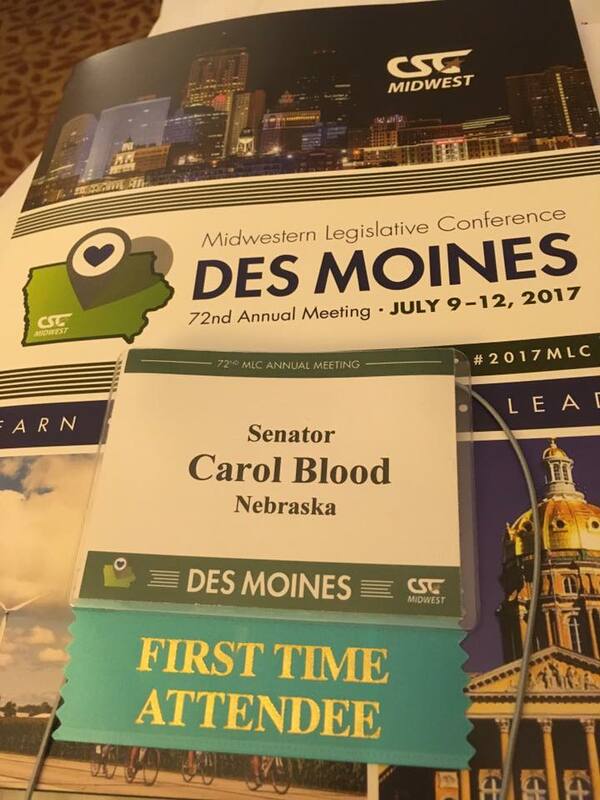 Later in the month, I attended my first CSG conference in neighboring Des Moines, Iowa. There were some great panels and exchanging of ideas with public officials from all over the United States and even Canada! I presented an early draft of my cryptocurrency bill as part of a round table discussion that I facilitated at the CSG event and received valuable feedback from participants. This also helped bring the issue of virtual currency and its use in various criminal enterprises to the forefront at the conference. While we have other pieces of legislation in the works, bills that we’ve made significant progress on for next year deal with virtual currency, unmanned drones, and several military families bills. The virtual currency bill will be setting up safeguards when it comes people who want to use it in illegal acts such as human trafficking. While the bill is largely aimed at the illegal acts virtual currency can be used for, we also want to make sure we have this bill in place, to show blockchain and virtual currency companies that we understand the technology and welcome firms who want to come to Nebraska and utilize cryptocurrency for legitimate business ventures. The unmanned drone bill will address issues that pertain to using drones to commit crimes. As this technology becomes more popular in the state of Nebraska, it’s important to note who can use it and how, as well as where. We want to make sure drones are being used safely and that no one is intentionally or inadvertently having their privacy infringed upon. The goal is not to over-regulate, but to provide statute that addresses public safety issues and drones such as voyeuism, flying over prison yards and harassing livestock or wild life. Our military families bills will continue to remove hurdles for employment, much like my previous bill LB 88, as well as address other issues that are important to the well-being of service members and their families. I am working closely with USA 4 Military Families, which is an initiative of the Department of Defense State Liaison’s Office. Recently, I had the opportunity to spend an evening networking and having interesting discussions with several public officials. 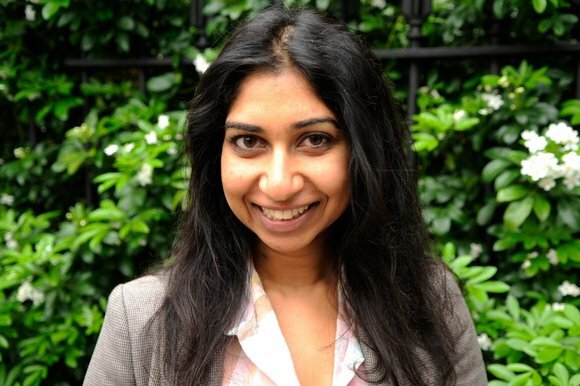 A dinner party was thrown at Dr. Linda Ford’s house in order to welcome United Kingdom member of Parliament Suella Fernandes to the state. 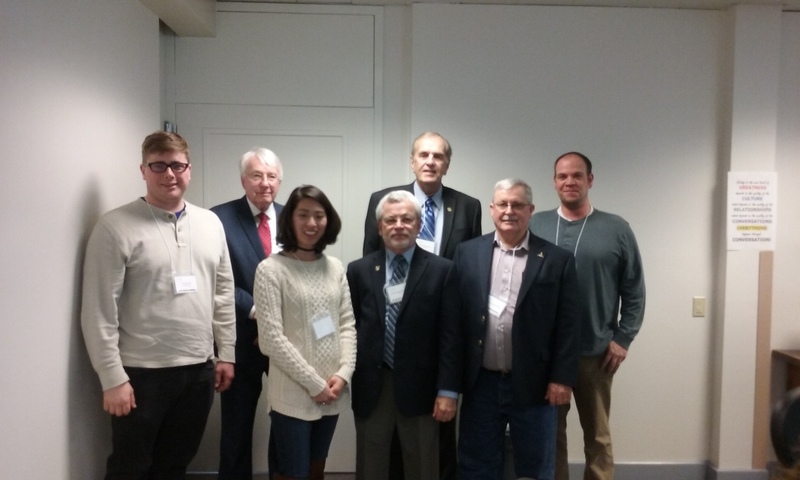 Fernandes is visiting Nebraska as part of the British American Parliamentary Group (BAPG). Along with the MP, I had a great conversation with Offutt’s new 55th wing commander Colonel Michael H. Manion and his wife Shannon. I also discussed issues important to Nebraska with United States congressman Jeff Fortenberry. Fruitful discussions were had and I hope to keep in contact with all the attendees in order to make sure we’re doing everything we can to help the people of District 3 and Nebraska. 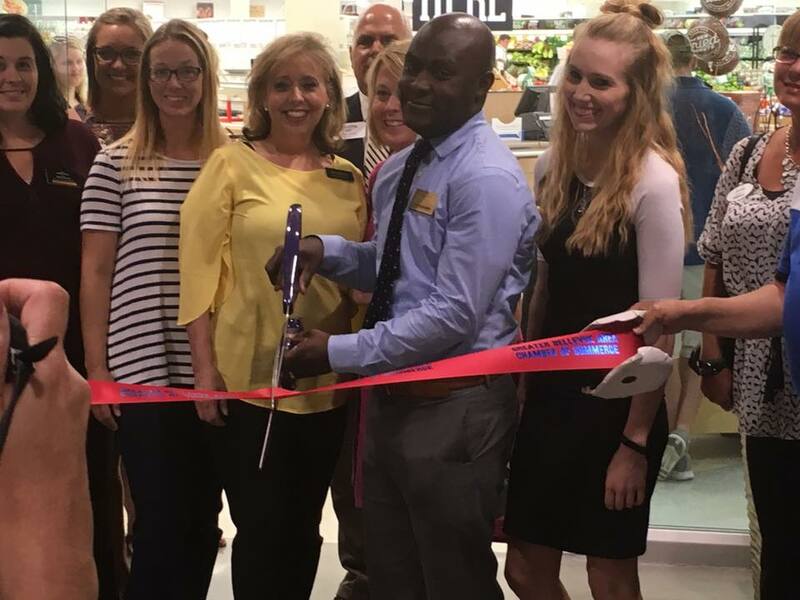 I was also honored to be invited to a ribbon cutting at a Bellevue area Hy-Vee. The event was used to unveil a new upscale restaurant and bar that is right inside the grocery store. Hy-Vee is really becoming a one-stop place to shop and spend the day. I was impressed with how nice it looked and how excited those who work there were to show it off to the public. This was a real labor of love. 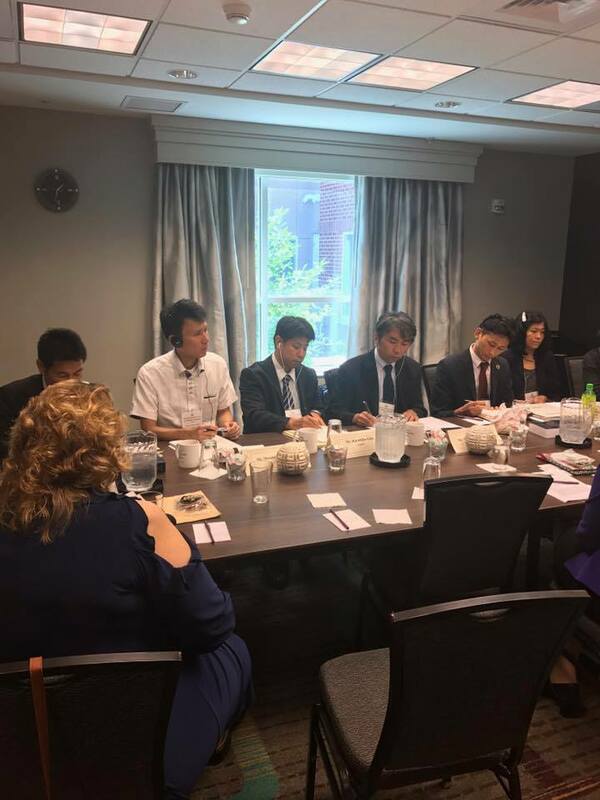 It was a treat to meet with a panel of Japanese officials who were visiting the Omaha-metro area and Offutt AFB to learn more about how the community interactions with the military in the US is generally a positive experience. It appears there are some tensions between civilians and troops at one particular military base in Japan and they are interested in problem-solving the issue through learning from other communities. These men were all very polite and really wanted to learn the minute details of how we coexist with our military neighbors. It was an interesting exchange of ideas. I also recently met and talked with the Coalition for a Strong Nebraska. 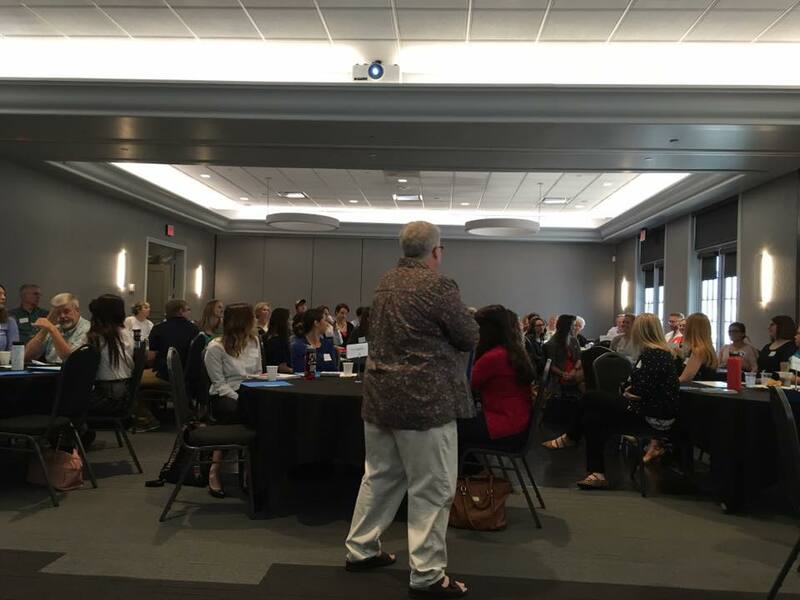 This is a large group of non-profits who are looking to make sure this state is on firm footing when it comes to legislation that pertains to the various member organizations. These groups tend to be the ones who pick up the slack when no one else can and they simply aren’t recognized enough for their hard work on a daily basis. I also attended and spoke at the Nebraska Victim Assistance Academy (NEVAA) graduation ceremony. 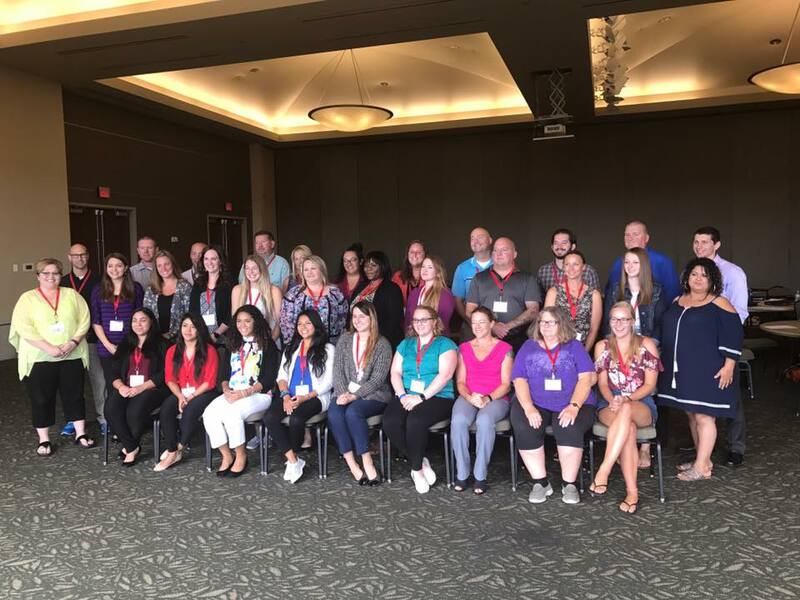 This is a group of people who go through an intensive, week long training session at Creighton University in order to learn how to be better advocates for the victims who come to them for help. These people come from all over the state in order to go through this course and it does a great service for victims and survivors in Nebraska. Finally, I closed out the month of July by hosting my “Can Nebraska go Green?” symposium. We had six experts come speak to a large audience about the kinds of things that need to happen in order to truly become an environmentally healthy state. 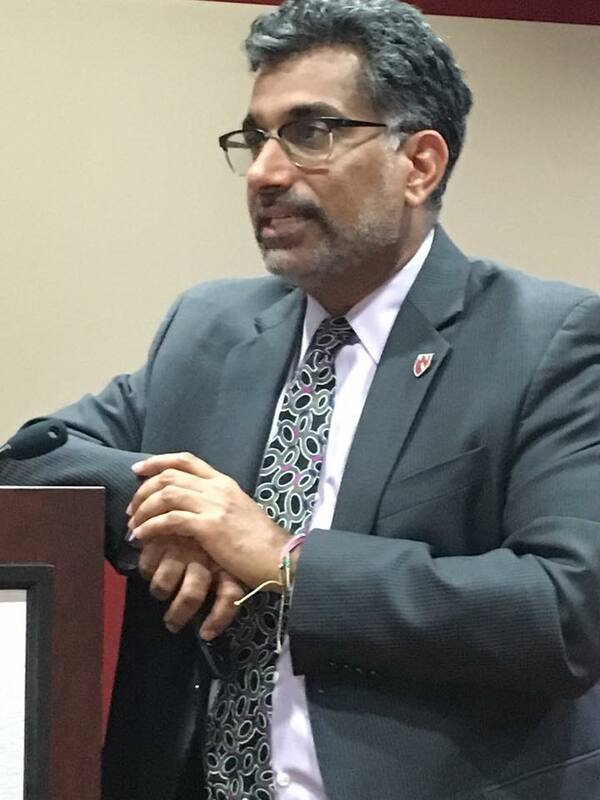 I have thoroughly enjoyed both of the symposiums we’ve hosted at Bellevue University this year and believe they have opened some eyes, educated area residents on important issues and helped point us in the right direction for future legislation and other action. Did you know that the following publications are available at no charge and can be ordered via the Unicameral Information Office? Membership & Committees Cards: Reference card listing Senator contact information and membership of the Legislative Committees. Lines of Government: A booklet depicting boundaries for Nebraska’s Legislative, Supreme Court & Congressional Districts, as well as districts for other lines of Nebraska Government. Unicameral Update: Online news source produced by the Clerk of the Legislature’s Office. Weekly print or email subscriptions available. The session has officially come to an end but that doesn’t mean my work is done. My staff and I will be spending the interim working on and researching legislation for the 2018 session. We also plan to be out and about in the district finding out what we can do to help those who need it most. As always don’t hesitate to contact myself or my office by calling 402-471-2627 or through email at cblood@leg.ne.gov with your comments, questions, and concerns. Because the session is over, the need for weekly updates isn’t nearly as prevalent. Over the interim, I’m anticipating only needing to put out the newsletter on a monthly basis. As part of the events marking the end of the legislative session Governor Ricketts came and spoke to the Senators highlighting our progress as a body. In particular, he talked about bills he supported that were presented this year that worked to remove red tape from a variety professions. Among the group, he talked about was my LB88 which will help military spouses be able to do the jobs they love faster after they transfer here. They will now be able to get a temporary license while they wait for their permanent license to be approved after moving to the state of Nebraska. After Governor Ricketts spoke, Speaker Scheer gave a nice speech recognizing the work we have done as a body. He also took the time to recognize all the people who work behind the scenes in order to make the legislature run smoothly, such as the Clerk’s office, the bill drafter’s office, and the transcriber’s office. The transcribers work to make sure all of our hearings and debates on the floor are recorded and then a transcript is created for permanent record. With the legislature officially adjourned until next January, the final tallies are out as far as what we, as a body accomplished. In total, 170 bills were passed by the Legislature this year. While I didn’t agree with, or support every piece of legislation that became law this year, it’s clear that when it came time to buckle down and do the business of the people, we did so as a unified body. There are still 143 bills sitting on General File and nine on Select File and those are just some of the subjects we’ll be taking up when we’re back in session in 2018. One thing we are going to be working on over the interim is a resolution I brought forward in January. LR4 is a request for an interim study to explore if the development of a more comprehensive water quality study is needed. The catch is that unlike bills that are brought during the session, Interim Resolutions are not guaranteed to get a hearing. At this point, we’ll have to see if the Natural Resources Committee, the committee this LR was assigned to, believes this is a topic that deserves a hearing. The hearing, should it be set, can be scheduled at any point between now and January, so for now, we wait. The session is almost at an end. We have just one more day before we officially adjourn Sine Die which means the legislature will be out of session until next January. That doesn’t mean my work is done though. My staff and I will be spending the interim working on and researching legislation for the 2018 session. We also plan to be out and about in the district finding out what we can do to help those who need it most. As always don’t hesitate to contact myself or my office by calling 402-471-2627 or through email at cblood@leg.ne.gov with your comments, questions, and complaints. repairs in the presence of the county board. This is largely a procedural issue but it will still benefit counties when they are going through the process saving them time and effort. 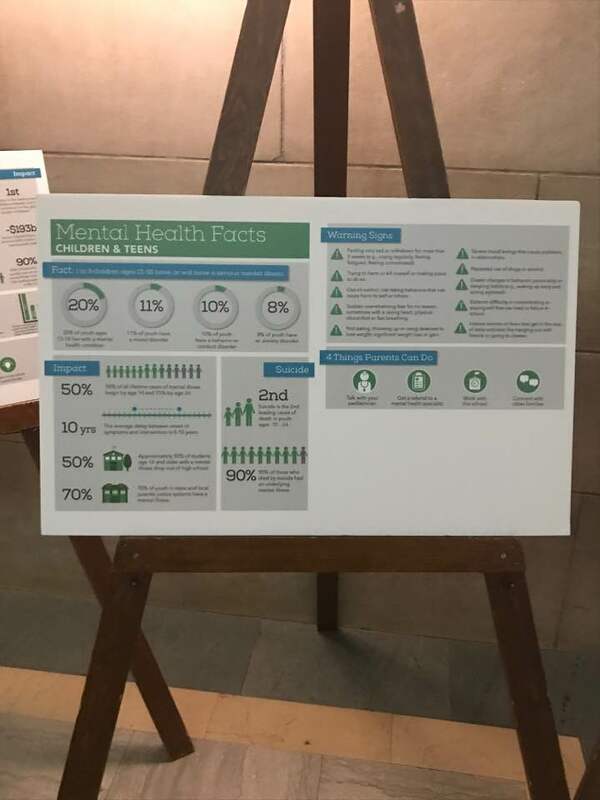 As you may know, May is Mental Health Month and here at the capital, there are a number of displays drawing attention to this important topic. NABHO (Nebraska Association of Behavioral Health Organizations) has put together an extensive display complete with statistics and graphs that show the impact of problems like deep depression and suicide can have on people and families. For anyone who is in Lincoln in the next few days, I’d invite you to stop by the Capital and check out this display. You can also go to NABHO’s website and read up about what the organizations do and find out more information about what Mental Health Month is all about. 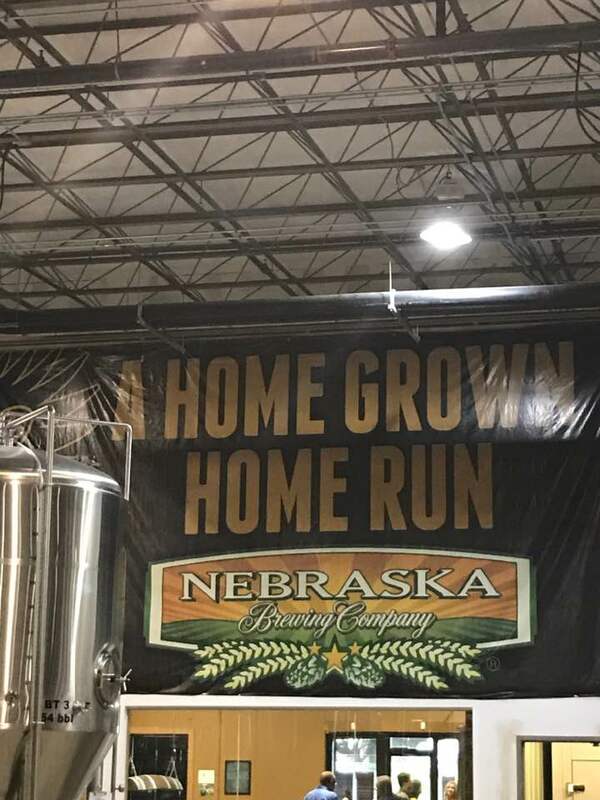 On Wednesday night I was honored to be recognized by the Nebraska Brewing Company. They were celebrating our fight to make LB632 a better bill that would still protect Craft Brewers and better regulate (and hopefully stomp out) Bottle Clubs. The original version of the bill would have put undue pressures on the craft brewing industry. I brought an amendment that removed that pressure while leaving the great parts of the bill intact. The Nebraska Brewing Company even honored me by naming a new beer after me! The Blood Orange Infinite Wit is quite tasty. 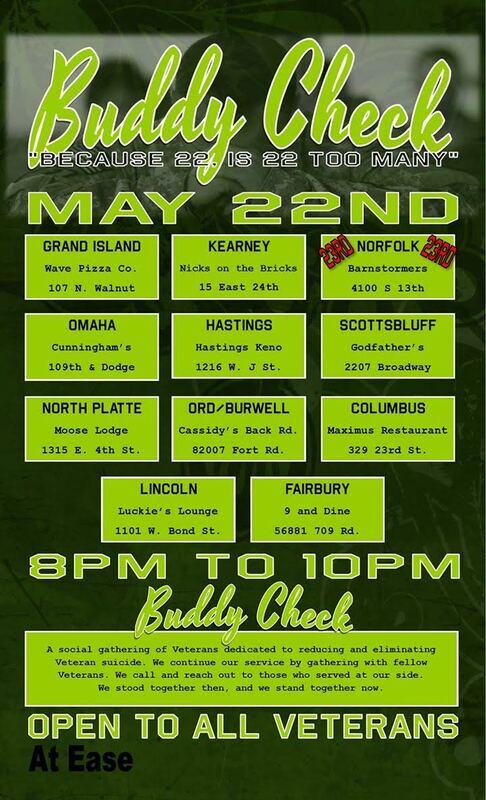 Obviously, LB632 helps more than just Nebraska Brewing Company. It helps all the craft brewers in the state who are making a go in this important business. When we talk about local success stories and entrepreneurs, we can look directly at the burgeoning craft brewery industry in Nebraska. The Department of Roads is beginning a new resurfacing project in the spring of 2018, and this project is set to be completed by the summer of 2019. The construction is starting near the Schramm State Park entrance at mile marker 5.37, and extending north to MM 11.50, the south junction of N-31 and U.S. Highway 6. While it’s never a ton of fun to try and get around these construction projects, this stretch of road badly needs some work and repairs. Thanks to the early announcement, we all have some time to get ready plan accordingly for next spring. To read the entire announcement and more about their plans for this part of the roadway, check out their release here. 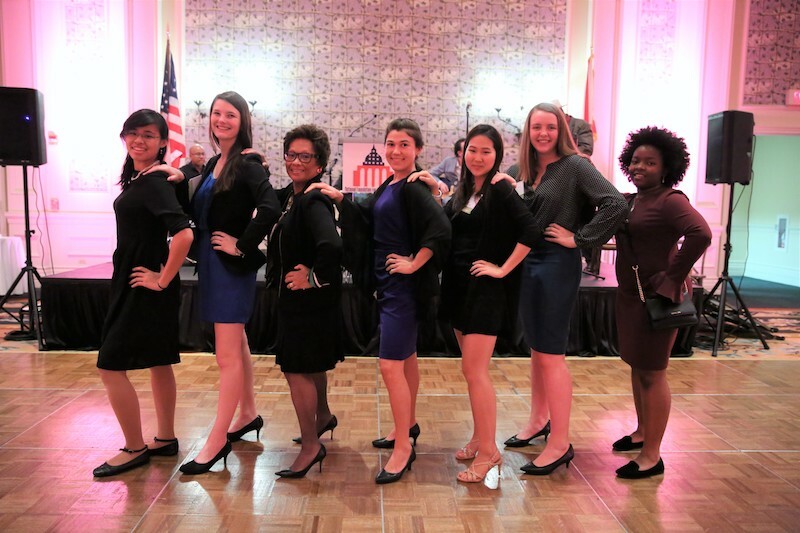 The contest’s six winners will each receive a $3,000 college scholarship and an all-expenses-paid trip to NFWL’s Annual Conference November 14-18 in Minneapolis, Minnesota where they will network with, be mentored by, and speak to hundreds of women lawmakers from across the United States. The deadline for entering this contest is July 10 by 5pm EST and all application materials will be due via the online application portal which you can find here. On September 15, 2017, the winners will be announced and informed. I truly hope area students will take advantage of this opportunity. 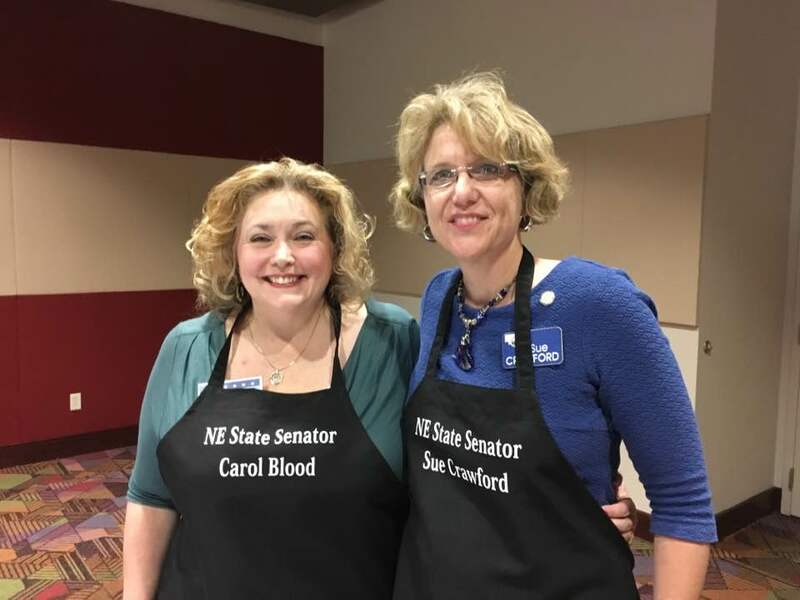 Last Friday, Senator Crawford and I joined various public servants as they served and celebrated area military spouses. The event, held at Bellevue University, included lunch, entertainment, and words of thanks to the spouses from the public servants in attendance. These military spouses have little say over where and when they move but 77 percent of them say they want to or feel they need to find work. This is the reason I brought LB88 this year. I wanted to make sure those military spouses who wanted to work, would be able to do so, without having to go through a lengthy waiting period while they got their professional licenses approved. Now that LB88 is law, it should aid military spouses but also come to the aid of the surrounding community. A recent study by the Military times showed the underemployment and unemployment of Military spouses ends up costing the US economy anywhere between $710 and $1 billion a year. With Offutt in our backyard, we feel the effects more directly than other communities in the state. Yet another busy week in the books as we move even closer to the end of the session. The legislature took care of some rather important legislation. First of all, my bill, LB86 was passed on final reading and is now headed to the Governor’s desk for his signature. LB86 is a simple yet important bill that eliminates the requirement for county clerks to open all bids on contracts that pertain to highways and bridge repairs in the presence of the county board. This week we also finished up the state’s budget. As you may or may not know, there are few things that Nebraska’s Legislature must do once it is in session, making sure the state has a balanced budget is something Nebraska’s constitution requires of us. During the debate, various senators were definitely at odds, but in the end, we worked together, found common ground and were able to get the job done. They say true compromise is achieved when no one leaves the table 100 percent happy. There are some items in this budget I’m not happy about but our current fiscal situation forced us to make decisions that might not have been made in healthier financial times. On Wednesday, LB632 came to the floor for debate. While there are several aspects of the bill I fully support, such as the regulation of so-called “Bottle Clubs” there was one piece of the legislation that I felt put too big a burden on the state’s growing Craft Brewery business. The bill, as it was written with the committee amendment would have forced these small businesses to spend far too much money on transportation of their products. I introduced an amendment which fixed this issue on the floor and it passed with overwhelming bipartisan support. The battle over this bill isn’t quite over. This was just the first round of debate, but I promise that I will always fight for the small business owners in this state and do whatever I can to make sure they have a firm footing as they help drive Nebraska’s economy forward. One particular movement that might be a bit under the radar but shouldn’t be are the Buddy Check meetings. These get-togethers are set to be held on the 22nd of every month and are in remembrance of the 22 veterans who are reported to take their own lives each month. If you are a veteran I encourage you to attend one of these meetings if you aren’t already. If you know a veteran, please encourage them to attend. Many of these men and women are suffering in silence and they desperately need the help of their brothers and sisters to get through difficult times. They cannot and will not be ignored. In the middle of the first floor on the capital this week, there is a memorial honoring our fallen from another difficult profession. Our police and state patrol officers are willing to go out and do the dangerous job of protecting us on a daily basis. Sadly, from time to time, an officer loses their life in the line of duty. The memorial display set up in our capital shares information on officers from the State Patrol that have made the ultimate sacrifice serving the people of this state. 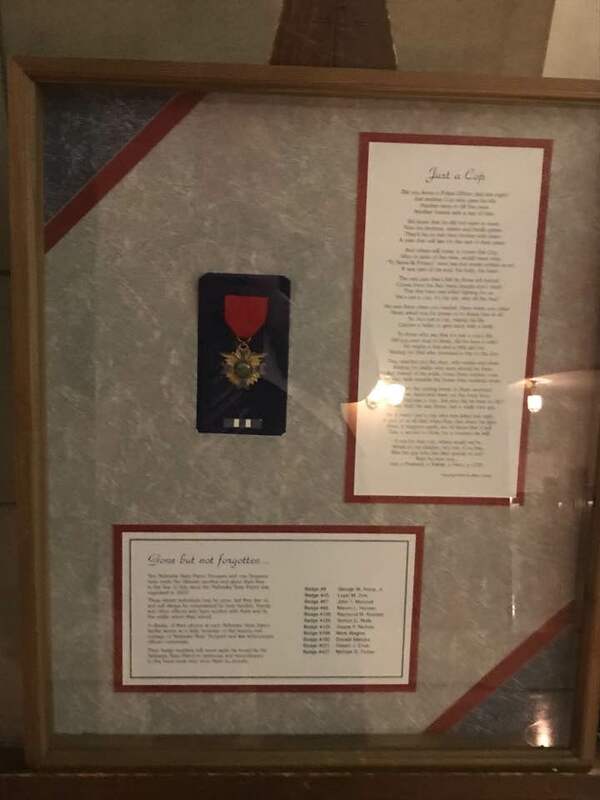 If you happen to be heading to Lincoln in the near future, I’d encourage you to stop at the Capital and give a look at the photos and the memorial before it’s gone. The other display that is currently in the middle of the building is one designed to shed light on the debilitating and deadly disease ALS (better known as Lou Gehrig’s disease) This disease first renders the sufferers unable to walk, then barely move, then speak, leaving them a prisoner in their own bodies. 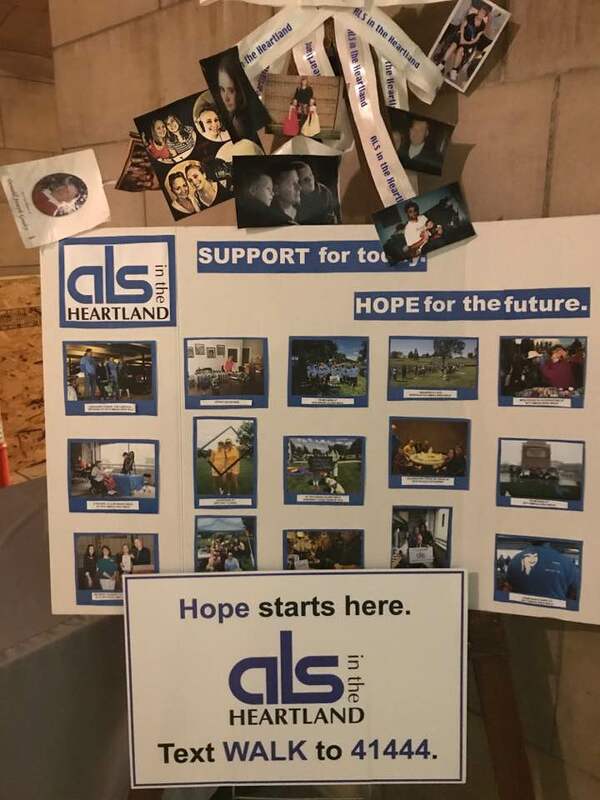 The display was put together by the ALS in the Heartland in order to educate people more about this disease but also to help recruit volunteers in a wide range of areas. They need volunteers who are willing to work directly with patients who need respite care, household chores, rides to appointments or just some good old companionship. They also need equipment room volunteers, volunteers for research and advocacy efforts, office assistance and people to show up at any of their events including their annual walk or golf tournament. If you have an interest in helping this non-profit organization do their important work, please contact Tammy Stalzer at 402-592-2374 or email her at tammy@alsintheheartland.org. Monday will mark the 82nd day of the legislative session. This year the Speaker has decided we will be adjourning for the session on the 86th day rather than the 90th. That means we have just five more legislative days before Sine Die. Those last days are sure to be plenty busy! We’ve come to the end of yet another busy week with some contentious but productive debate over the budget. We as a body continue to look closely at what is in these pieces of legislation and I am working hard to make sure the Legislature is doing what is in the best interest of the people of Nebraska. The bills specifically devoted to the budget are LB328, LB329, LB330, LB149, LB327, LB331 and LB332. 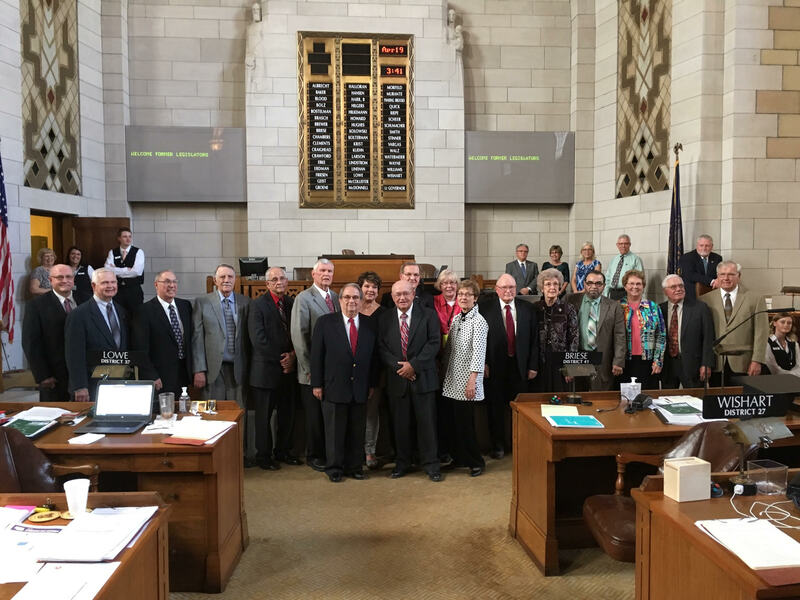 The Nebraska Legislature welcomed the Consulate General of the Czech Republic Borek Lizec, Ph.D. and other representatives on the morning of May 4th. I was proud to be able to greet them in their native language with a dobry’ den and jak se mas (good day & how are you?) as I welcomed our esteemed visitors to our chamber not only as a Nebraska State Senator, but one with Czech heritage. 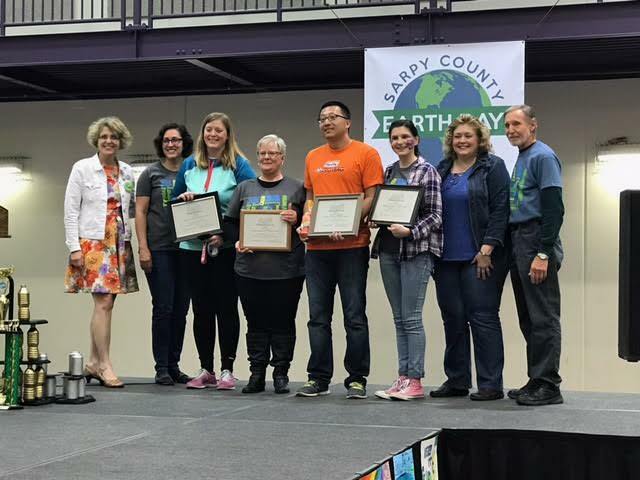 On Sunday, I joined Senator Sue Crawford, LD 45, in helping to congratulate supporters of Green Bellevue and its mission to make Sarpy County a greener, healthier place to live. Green Bellevue held an amazing Earth Day Celebration at the Lied Activity Center in Bellevue. There were demonstrations, hands-on activities, and educational opportunities. As always, it was well-attended and well-received. I am pleased to announce that the 2016-17 Nebraska Blue Book are now available. This is the 53rd edition of the Nebraska Blue Book since it was first published in 1899. 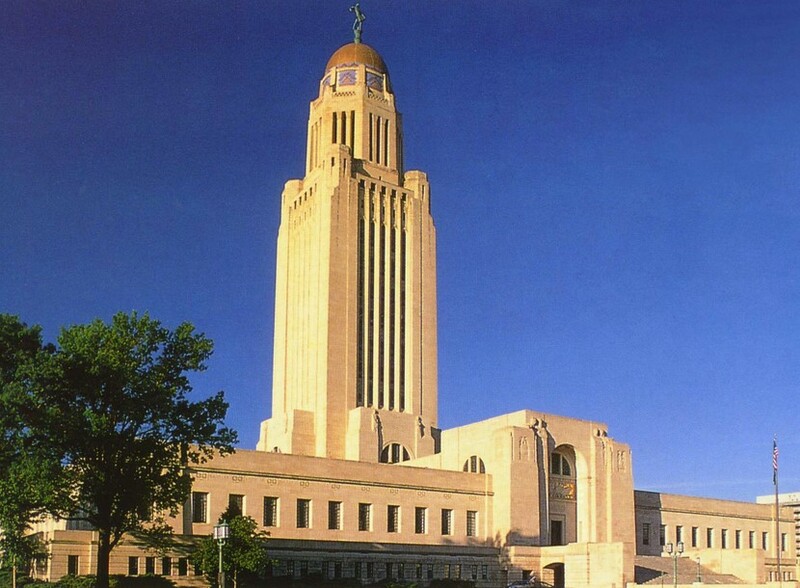 It is a biennial publication that details the structure of federal, state and local government in Nebraska and includes biographies of elected officials and judges. The book also includes constitutional, historical and statistical information about Nebraska, as well as information about the state’s geography, economy, people and culture. Additional books may be purchased by contacting the Office of the Clerk of the Legislature at (402) 471-2271. The price for each additional book is $15.00 plus any applicable taxes and postage. The USDA Rural Development Business Programs Director Joan Scheel will be a speaker at the Brownfields Resources Workshop at the Arbor Bank, 911 Central Avenue in Nebraska City, Nebraska on May 18, 2017. Please reach out to Scheel at the workshop to answer questions on your rural communities’ needs. Local and regional government, economic development staff, not-for-profit economic and community development organizations, bankers, realtors, developers and others interested in financial resources for local redevelopment should plan to attend. Learn what a brownfield is and develop skills in identifying them in your community. Also to be discussed is cleanup and other funding available to communities and how to access them. Participate in one-on-one discussions with representatives from funding programs. Hear about communities who have successfully applied for and utilized various types of funding. The workshop is free and will begin at 8:45 a.m. and conclude at 3:00 p.m. The cost is free and lunch will be provided, but registration is required. You can register at https://ksutab.org/education/workshops. Contact Sheree Walsh at chsr@ksu.edu or 785-532-6519 if you need assistance in registering. Friday marked the the 77th day of this legislative session. As of now, we have had 84 bills signed by the governor and made into law. We have another 15 bills that have passed through final reason and will now go to the Governor’s desk for his approval. We have over 50 bills currently on final ready and another dozen on Select File. It has been a productive first session but we still have much to do. This past week was a busy one and the pace is only going to become more hectic as we head towards the end of the session. On a very positive note, my priority bill, LB88 officially became law on Tuesday afternoon. 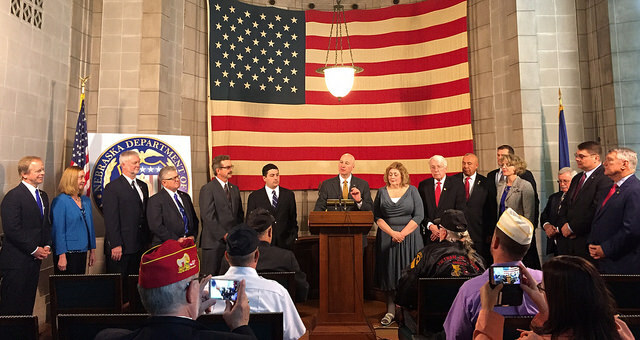 My bill was part of a signing ceremony focused on a Veteran’s Legislative Package shared with the media by Governor Ricketts. I was proud to be part of the ceremony. This week we began discussion on the budget bills and there were certainly some contentious moments as there are always going to be when talking about these very important issues. I came into the legislature knowing full well we were in dire circumstances with a massive budget shortfall. That shortfall got even bigger this week, as the state’s forecasting board met on Wednesday and determined we are yet another $50 million under projections. That means the Legislature is dealing with a total revenue shortfall of just over $1 billion. Drastic measures need to be taken but those measures must also make sure we aren’t just kicking the can down the road and adding to our budget problems even more in the future. Another important piece of legislation that moved to Final Reading this week is Senator Crawford’s LB253. The bill will allow Sarpy County to use the levy authority it has per the County Industrial Sewer Construction Act to secure bonds for a regional wastewater system. This new sewer system is one that is badly needed in the Sarpy County area for economic development and I was thrilled to see the bill advance with little opposition. The legislature continues to do the business of the people, as there is now a grand total of 47 bills which have been passed by the legislature and another 38 which have been signed into law. We have another 15 pieces of legislation on Final Reading and 57 sitting on select file. The Legislature is adjourned Friday and Monday and will get back to work on Tuesday, which will be the 73rd day of the session. We are coming down to the finish line and there is still quite a bit of work to do. This week, another one of my bills, LB86 was heard on the floor and advanced to Select File. This is a bill that would change the requirements regarding when a county needs to open bridge bids. The bill was placed on what is known as the Legislature’s “Consent Calendar.” Bills that make this list are those that have had no opponents during the committee and were voted onto the floor without a dissenting vote. They also need to be considered “non-controversial” by the Speaker of the Legislature. The bill was indeed non-controversial as it didn’t receive a single “no” vote. On Friday, we took up debate on LB461. This is the comprehensive tax reform package brought on behalf of the Governor. While I am in agreement with Nebraskans’ that feel their taxes are too high, I have some real concerns that none of our relief bills seem to offer long-term solutions. I have long said I have no interest in just kicking the can down the road. I am paying close attention to the debate, amendments and discussions, but I believe there is still much work to be done. While this week has been one of serious issues and serious debate we did manage to get a nice break for a few minutes on Wednesday. The legislature hosted 18 former state senators. We briefly stood at ease as the former Senators came onto the floor and chatted a bit with us. It’s striking to think about the decades of combined experience that stood before us. While there is quite a bit of talk about the legislature being stuck in the mud and not getting much done, when you look at the session as a whole so far, we’ve actually accomplished quite a bit. While I don’t always like what has been passed, we’ve certainly not been at the kind of standstill some have made it out to be. So far this year, we’ve already had 35 bills signed by the governor. We also have another 53 bills that are sitting on Final Reading. Once those are advanced, they will be headed to the governor’s desk for his signature. On Thursday alone, we advanced 45 Consent Calendar bills from General to Select File and those will be added to the 15 bills that were already sitting on Select File. It is a wonderful feeling to work together on issues that are important to the residents of Nebraska and to continue to move legislation forward. 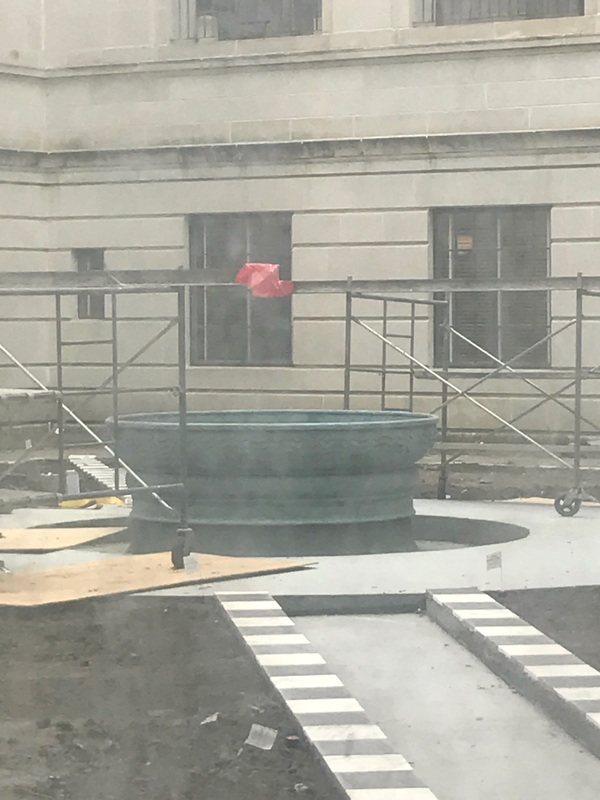 While we continue to make progress moving through the legislative agenda, there is also some noticeable progress going on just outside my office window with the installation of the fountains! No, that courtyard isn’t the prettiest looking right now, but I’m excited to get a look at the finished product in the next few months. Friday marked the 69th day of the legislative session which means we have just 21 legislative days to go! While we have accomplished much, there are still plenty of hard decisions ahead. Next week we will begin debating the state budget. Considering the massive shortfall we’re dealing with, there are bound to be some tough calls. High school students with an interest in law, government, leadership or public speaking are encouraged to register for the 2017 Unicameral Youth Legislature, which will convene June 11-14. Students will learn about the inner workings of the Legislature directly from senators and staff. Bills will be based on legislation considered during the current legislative session. Registrants are encouraged to apply for a Speaker Greg Adams Civic Scholarship award, which covers the full cost of admission. Applicants must submit a short essay. Other $100 scholarships are also available. The University of Nebraska– Lincoln’s Extension 4-H Youth Development Office coordinates housing and recreational activities for the camp as part of their Big Red Summer Camps program. Registration forms can be obtained from the Legislature’s Unicameral Youth Legislature page: www.NebraskaLegislature.gov/uyl. The registration deadline is May 15. On April 11, 2017 we gave first-round approval to a bill that seeks to require the collection of state sales taxes on purchases made over the Internet. LB 44 was presented by Senator Watermeier. The 28-13 advancement of the bill does create concern about whether it could survive a potential veto by Governor Pete Ricketts. It takes 30 votes to override the Governor’s veto. It has been estimated that LB 44 has the potential to bring in an additional $30 to $40 million in state revenue every year. This would make a substantial difference in our long term planning when it comes to the state budget and the ongoing deficit we face. The lack of taxes on Internet purchases has been a point of contention with Sarpy County’s main-street businesses. Many have shared with me that it gives out-of-state companies a tax advantage. This unfair tax advantage has clearly contributed to the closing of local stores in Bellevue and Papillion. At least 28 states have proposed laws this year to require the collection of taxes on online sales. As many of you know, this is not a new tax, but one that is owed and rarely paid. Collecting this existing tax is one of many tools we can use to tackle Nebraska’s current budget woes. Last Friday, my Legislative Aide, Oliver VanDervoort had the opportunity to tour the Beatrice State Developmental Center with a group of Senators and other staff, as well as members of DHHS. He’s reported back about the great work that is going on at the BSDC despite significant hurdles the current administrators have had to overcome, including working with a challenging budget. The individuals who live in this facility truly call the BSDC home,as most have been housed there for decades. The facility staff work hard to make sure these citizens of Nebraska aren’t simply cast aside but help them to learn trades and skills that can be used in the greater community and give their residents a sense of purpose. The facility staff work hard to make sure these citizens of Nebraska aren’t simply cast aside but help them to learn trades and skills that can be used in the greater community and give their residents a sense of purpose. LB68 is a Preemption bill presented by Senator Hilgers of Lincoln. There was a lengthy debate in reference to the topic and it was passed from General File to Select this week. The bill reinforces that the state is the original authority and that laws controlling firearms ownership and possession shall not be overridden by local laws (county, city, municipality). This critical piece of legislation emphasizes the power and authority of the state. However, if the intent of this bill is to eliminate the patchwork of laws in Nebraska, I feel the carve out for Omaha creates a new patchwork hurdle. All of the proponents at the hearing stated that this bill was about being able to travel across Nebraska as a law abiding gun owner without fear of prosecution. I agree this is an important issue and I support this effort. In response, I have offered AM 865 as an alternative solution. If the issue is truly about safe transportation and not taking away important local power, than I am hoping to garner support on the floor. The majority of local law enforcement in my area oppose the bill in its current form. Need help with a legal question? No money for a lawyer? www.NE.FreeLegalAnswers.org is now available. It’s easy, fast and its free to qualified users! Go to the website and see if you qualify to ask a Nebraska volunteer lawyer a question about a civil legal problem for FREE! You must be at least 18, not incarcerated, meet low-income eligibility requirements, and need an internet connection. If you qualify: you can post a civil (non-criminal) legal question for free, you will get an email when a lawyer answers your question and you can log in to the website to read the lawyer’s response. This is a national online pro bono project sponsored by the American Bar Association in collaboration with the NSBA Volunteer Lawyers Project. Thursday marked the 65th day of the legislative session. That means we have officially passed the two-thirds mark for this session. The last 25 days are sure to be busy as we still have to debate school funding, the governor’s tax proposal, and the budget. Another busy week has come and gone as we move closer to the end of the legislative session. Earlier this week my priority bill LB88 got one step closer to becoming law. In addition to helping military families by allowing their spouses attain temporary licenses in more than 30 professional fields while they apply for their permanent license, the Health and Human Services Committee asked me to allow LB88 to be the vehicle to carry an amendment that included four other bills that are similar to mine. The amendment includes parts of LB342 (Adopt the Nurse Licensure Compact and provide for temporary nursing license for military spouses) which is Senator Erdman’s bill, Senator Crawford’s LB425 (Change and eliminate provisions relating to the Nurse Practitioner Practice Act), Senator Kolterman’s LB61 (Adopt the Interstate Medical Licensure Compact) and finally Senator Riepe’s LB283 (Change and eliminate provisions relating to licensed practical nurses). In this latest round of debate, I added another amendment that removes the requirement for licensed audiologists to have to go and get a separate license in order to sell and dispense hearing aids. This was yet another piece of governmental red tape we’re doing away with. This bill is also a shining example of how we can work together and across the political spectrum for the greater good of Nebraska and create effective policy through a team effort. Next up for the bill will be final reading and then it will be sent to the Governor’s desk for his signature. 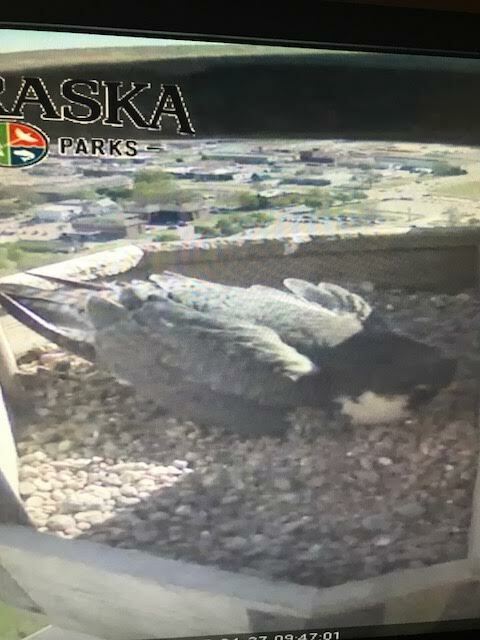 While it wasn’t my bill, I took great interest in Senator Stinner’s bill, LB222 which makes some much-needed changes to the Nebraska Tourism Commission. One part of the bill I had a problem with was a requirement that the commission redraft it’s strategic plan, rather than simply reviewing and adjusting it. 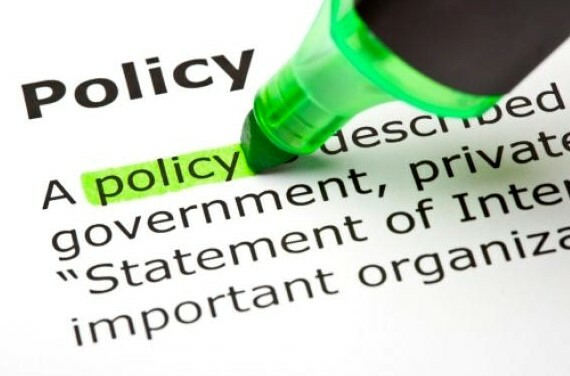 I believe an organization’s strategic plan should be treated as a living document that can be amended and reviewed quite often, but doesn’t need to be scrapped entirely and started over from scratch. The last strategic plan for the commission cost $109,000 to create. This isn’t money we should just be throwing away. My amendment AM816 addresses this and added language to the bill that has the commission “review the plan annually and update as necessary.” Senator Stinner was receptive and supportive of this amendment and it shows once again that bipartisan cooperation can be achieved in this legislature. LB68 was discussed on the floor this week and if nothing else, led to a lot of good conversations with members of the public. I have a problem with the way this bill was written because it would open up cities and counties to frivolous lawsuits. In emails and in testimony on this bill, we heard that the real problem was traveling around the state, transporting a law-abiding citizens’ gun becomes an issue. I introduced an amendment AM865 that would make it possible to do just that, without having to worry about being cited in one municipality or another. I have no problem with lawful gun owners wanting to exercise their second amendment rights. I believe in those rights. I believe my amendment continues to allow people to use those rights without putting cities and counties in the crosshairs of outside organizations who wish to come in here and file lawsuit after lawsuit, causing real financial harm to our communities. I understand this is an important issue to many, and I would encourage anyone who has any questions or concerns about LB68 or my amendment to contact my office and speak to either myself or my Legislative Aide, Oliver. The bill was debated for three hours on Wednesday and then we moved onto other business. It’s not clear when the Speaker plans to put it back on the agenda. Another bill we talked about this week that is very important to me is Senator Krist’s LB300. This bill eliminates the statute of limitations on civil actions in relation to the sexual assault of a child. Current law sets the statute of limitations at 12 years past an alleged victim’s 21st birthday. The problem is that most sexual assaults aren’t reported until the victims are well into adulthood. I believe this bill takes an important step towards truly giving a voice to the voiceless and I will do everything I can to make sure it becomes law. In case you haven’t checked it out yet, the Tax Foundation Facts and Figures for 2017 book was recently released. This booklet compiles a huge amount of information about how Nebraska fares compared with other states when talking about categories like State and Local tax collections per capita. This information is also online at the Tax Foundation’s Website and you can download it or even get a smartphone app to have it at a glance at all times. I encourage you to study these numbers as I know I will be. Thursday marked the 61st day of the legislative session. That means we have officially passed the two-thirds mark for this session. The last 29 days are sure to be busy as we still have to debate school funding, the governor’s tax proposal, and the budget. You are currently browsing the District 03 Blog blog archives for the year 2017.